Jessica was brutally murdered outside a bar in Detroit, Wayne County, MI on Saturday night or early Sunday morning, Sept 3, 2005, 39 days before her 25th birthday. Police believe that her throat was slit; however, her body was set on fire and left near a dumpster a few blocks from the bar in an alley, making actual cause of death indeterminable. She was found early Monday morning (Labor Day) by a resident taking out trash. To date, no arrests have been made in her murder. The prime suspect (a known pimp in the Detroit area) disappeared within days of the murder. Police believe he is hiding in the Phoenix and/or Los Angeles area. Jessica had her 18-month-old son, Izaac, with her at the time, but police don’t know whether the baby was at the scene of the murder. Contact was made between Jessica and the prime suspect through acquaintances in Houston, TX. Jessica went to Detroit without her family’s knowledge to “work” for him for a short period. The Detroit Metro Homicide division originally investigated the case as an unidentified body. Jessica’s best friend was contacted via phone on the Wednesday evening following the murder. She stated that she and Jessica had been at the bar together and had stepped outside. She returned to the bar alone while Jessica stayed outside. When she was ready to leave, Jessica still had not appeared. She said she had returned to the bar later that night and had found one of Jessica’s shoes lying in the street in front of the bar. She had Izaac and was worried about Jessica, and wanted to let Jessica’s family know that she was missing. Family members immediately made arrangements to fly to Detroit the following day to meet with Jessica’s friend, to get Izaac, and to find Jessica. As planned, the family made a phone call to this woman from the airport in Houston at the time Jessica’s sister was boarding the plane. There was no answer. After numerous phone calls, a man answered the phone and wanted to know if Jessica had returned to Houston or if the family had any knowledge of her whereabouts. Family members say this man’s name or nickname is believed to be “Taye” (spelling may be incorrect). No one appeared at the airport in Detroit with Izaac as planned. Jessica’s sister spent the night at the Detroit airport, returned to Houston the following morning and filed missing person’s reports on Jessica and Izaac. She and two friends returned to Detroit on Friday morning with posters and the Houston missing person’s report in hand. They visited several precincts in Detroit before arriving at Precinct 1, where an officer overheard the story being told to a desk clerk and realized that the unidentified body found the previous Monday may be Jessica’s. 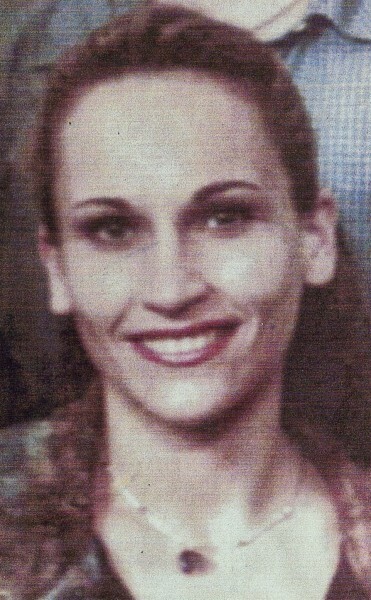 Approximately three weeks later, Jessica’s body was identified through dental records. Izaac was found at the home of the prime suspect’s grandmother and taken into protective custody. A custody hearing was held, and Izaac was returned to his family in Houston. Posted on Monday, October 19th, 2009 at 8:06 pm. Last updated on Thursday, April 14th, 2011 at 5:44 pm.